The Only WordPress Plugin To Create Stand-alone Mailing Groups. 100s of Satisfied Customers Worldwide and Still Counting. Premium Add-on for Setting “Reply-to” for a Mailing Group. You can make you groups reply to Sender only using our new Add-on. 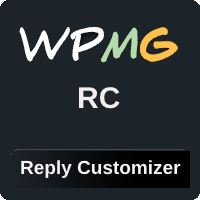 Wpmg listserv Pro is actively maintained to make sure it works with new releases of wordpress and PHP. Going Pro means you are more secure, up to date and in good care of our awesome support. With pro support, you can easily solve listserv problems you come across while setting up groups. Whenever you are stuck, just ping us and we are there to help! A list serv plugin which is a great alternative to Google Groups, Yahoo groups, Lsoft listserv, mailman etc. Lots of customization options and more control over features. Email Digest Option Beta now Available! – Easy installation and setup that requires no coding skills. Wpmg provides a perfect listserv function hosted on your own server. Having it on your own server means no need to pay any hefty fee as your list grows. A list serv easy to manage and under your own control. Its a wordpress emails discussion plugin to connect different users of a list. Your users can connect with each other through email. An email discussion group allows them to interact with each other without any login to wordpress dashboard. Its a perfect wordpress listserv function which can replace legacy yahoo groups. Email list enables users to have two-way communication. Your own wordpress website can serve as listserv so you are not tied to any other listserv like Lsoft or Google Groups. WPMG is the most comprehensive wordpress plugin for email groups. Want to Check Out All Features?